Simply stated, Oregon's Cascade crest divides mule deer country on the east side from blacktail country on the west slope. But a hunter can find blacktails in several east side units, including the White River Unit, a large controlled hunting area east of Mt. Hood. These are not considered the same animal as the pure Columbia blacktail found west of the Cascades. The record books treat them as mule deer and the deer show a definite mule deer influence. They are bigger-bodied, have longer ears and sometimes, more inches of antler, than their cousins in the Willamette Valley. The White River Unit is made up of 55% public land. The 141B tag is relatively easy to draw. 2,385 hunters applied for a total of 2,200 tags issued in 2008. A nonresident hunter has a good chance of drawing a tag, even with no preference points. The 141B hunt takes place in early October when the deer are still on their summer range. We hunted the first three days of the 2008 season and saw one buck the first day, two bucks the second day and filled both our tags on the third day. White River Unit archery season success averages almost 35%. Rifle hunters average 28%. Successful rifle hunters spend an average of 4.5 days in the field. Over the past three years, the buck-to-doe ratio has averaged 23 bucks per 100 does. Every year, a few hunters take bucks in the 165- to 180-inch class. The average mature buck scores between 120 and 150 inches. To find a good buck takes a commitment to a tree stand or still-hunting tactics. A hunter should spot one to three bucks a day. Patience is the key to finding a trophy. If a weather front pushes animals out of the high country, hunter success goes up. The White River watershed, Badger Creek Wilderness, Fivemile Creek and Fifteenmile Creek canyons are some of the best summer (and early fall) habitat for deer. These areas are thick with vegetation at higher elevation, but burns and logging areas open up the view and make spotting easier. These blacktails, while they may have some mule deer blood in their veins, make good use of cover. Best opportunities come in early morning and late evening. During the day, drive tactics can work to good advantage. Toward the end of the season, deer may move down toward their winter habitat in the oak trees and are easier to intercept. Nearest motel accommodations are in Government Camp and Maupin. RV hookups can be found in Pine Grove and at Pine Hollow Reservoir. All services are available in Maupin and in Sandy. For a more rustic camp, public campgrounds make an easy base. Some good options include White River Station, Rock Creek Reservoir, Pine Hollow Reservoir. Camping is available on the White River Wildlife Area. This public land is prime winter habitat at lower elevation in the oaks. Some deer live in the Wildlife Area year-round. Hunters may also hunt bear, cougar, coyotes, grouse and silver gray squirrels. The White River Unit is a good bet for the do-it-yourselfer with five days or a week to hunt. One landowner, Ed Sallee, Tel. 541-980-5343, based in The Dalles, OR, offers access for a trespass fee. With two ranches totaling approximately 4800 acres, Sallee charges $500 for five days or $100 per day. If you kill a deer, the total cost is $500. He will allow as many as four hunters on the land at a time, if they know each other. Otherwise he limits the hunt to two hunters at a time. He also has rates for the combination deer/elk archery hunt. 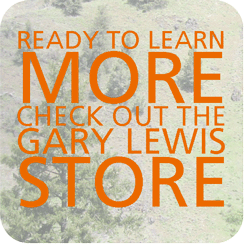 Eastern Oregon's archery season runs August 29 through September 27. Nonresident archery tags for deer ($264.50) and elk ($361.50) are available over the counter until the day before the season begins. A November rut hunt 141C option was added last year. It proved to be a popular choice. 1,045 hunters applied for one of the 10 available tags. Rifle deer hunts in eastern Oregon are controlled by a lottery system. The 2009 Controlled Buck Centerfire season runs from October 3 through October 14. The application deadline is May 15, with drawing results mailed by the end of June. Non-resident hunters must buy a license ($76.50) when applying for the tag (application fee is $4.50). If successful in the drawing, hunters must purchase the tag ($264.50) before the season opener. For more information, visit the ODFW site at www.dfw.state.or.us. Call 503-947-6100 for license agent locations. For maps, call Bend Mapping at 541-389-7440. North Central Oregon is best served by air out of Portland (PDX) or Redmond (RDM). The hunt area is a 90-minute drive from either airport.